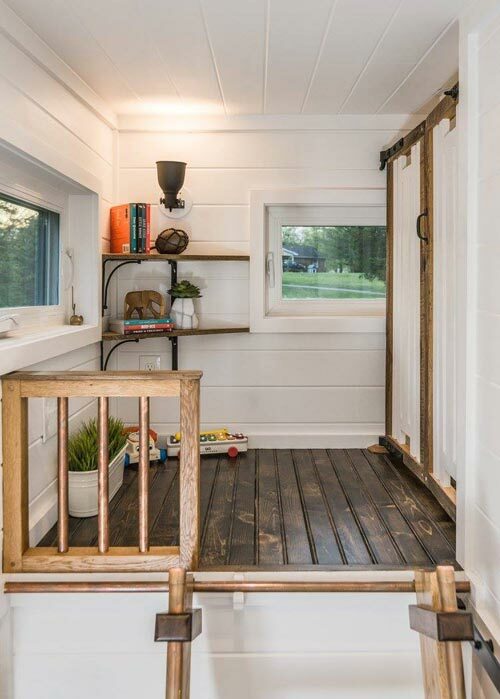 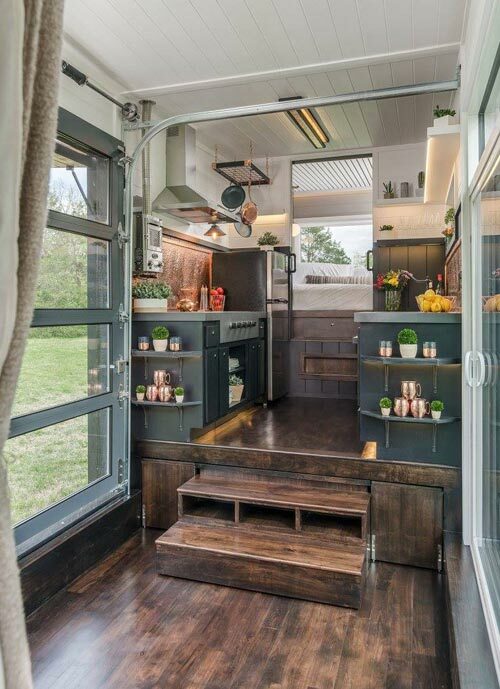 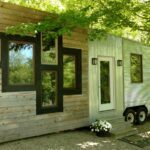 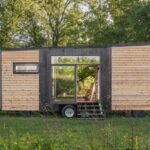 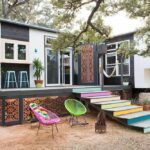 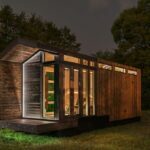 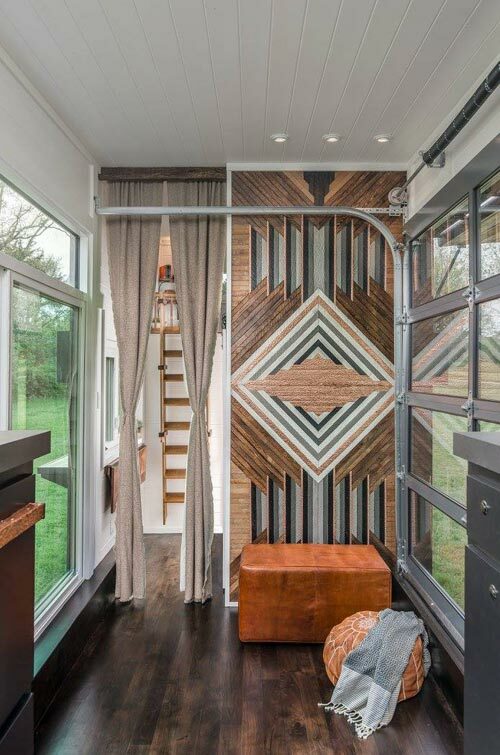 From tiny house builder New Frontier Tiny Homes is the Escher, one of the most luxurious tiny homes we’ve seen. 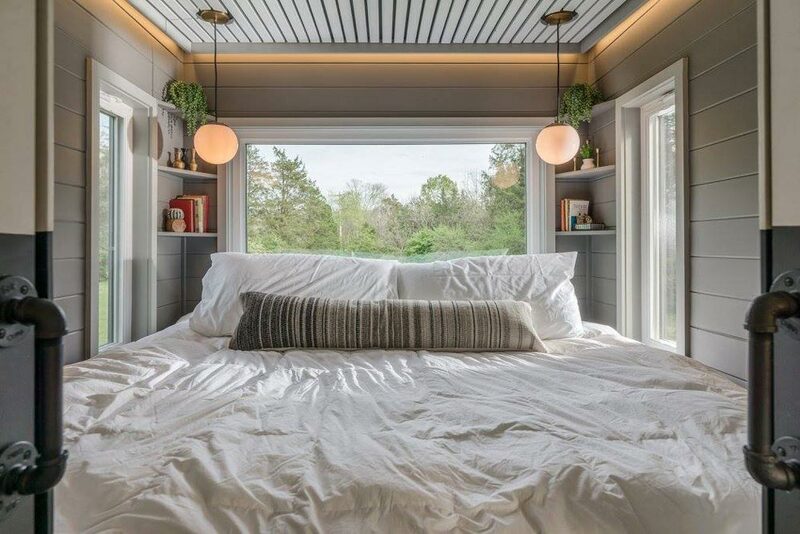 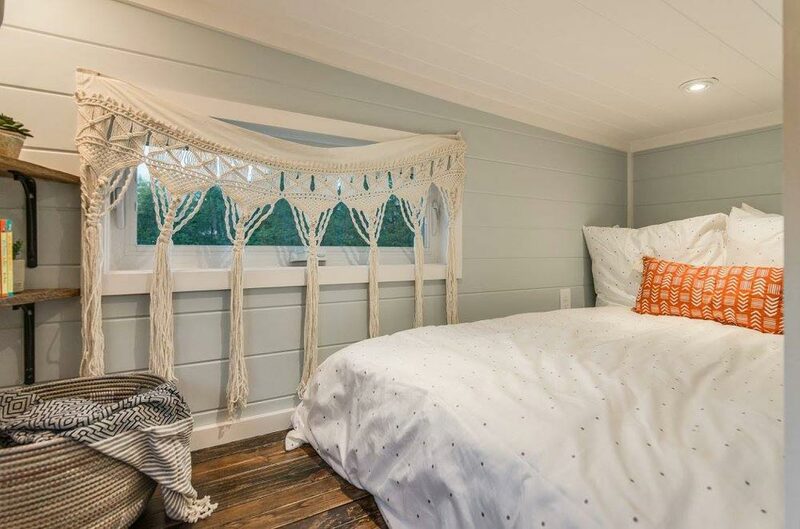 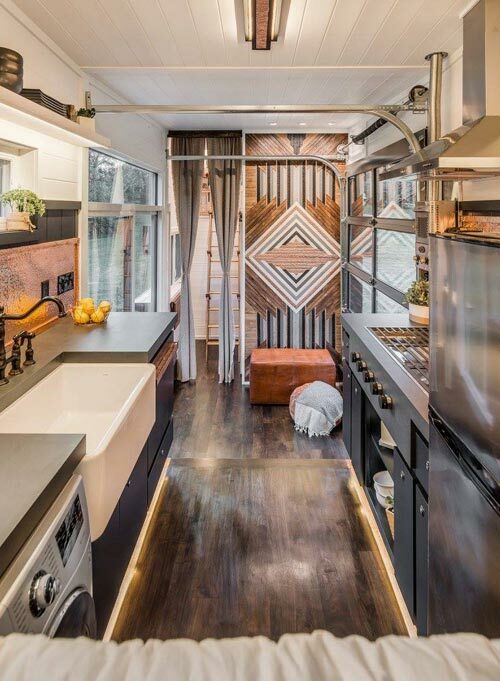 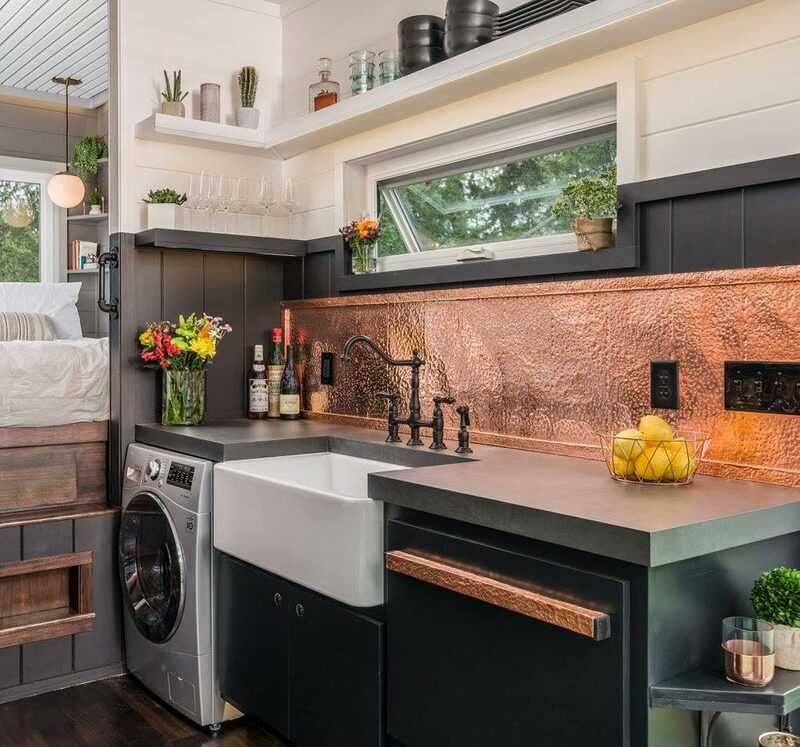 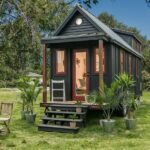 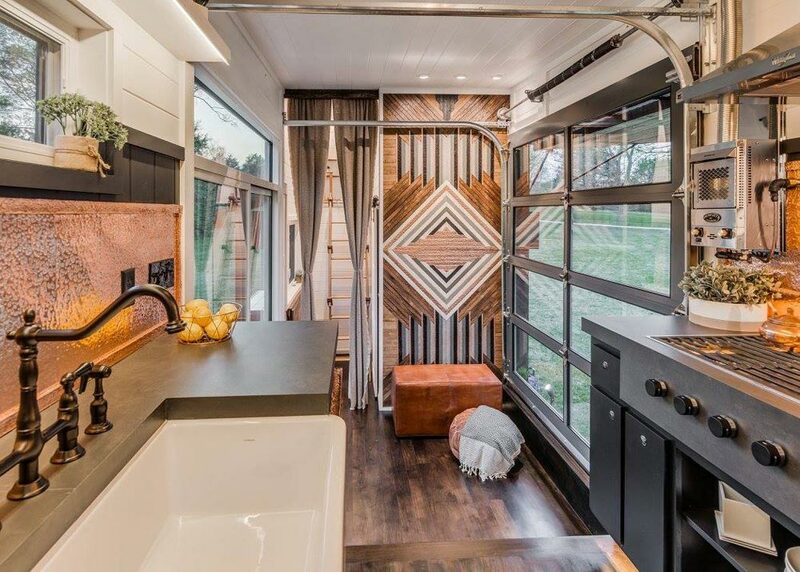 A San Francisco Bay Area couple enlisted the help of David Latimer and his team at New Frontier to build this stunning gooseneck tiny house. 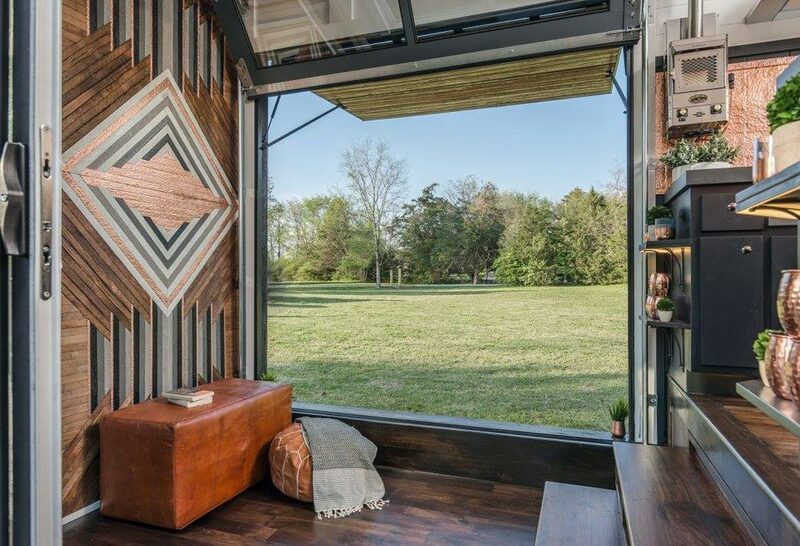 The Escher combines shou sugi ban cedar siding, natural cedar, and standing seam metal to create a gorgeous exterior. 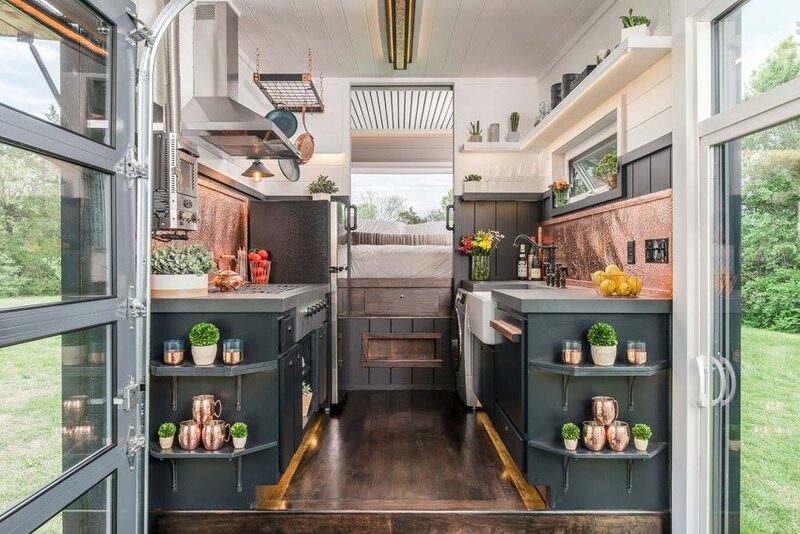 As with New Frontier’s Alpha model, the Escher features a roll-up garage door and large sliding glass door on walls opposite each other. 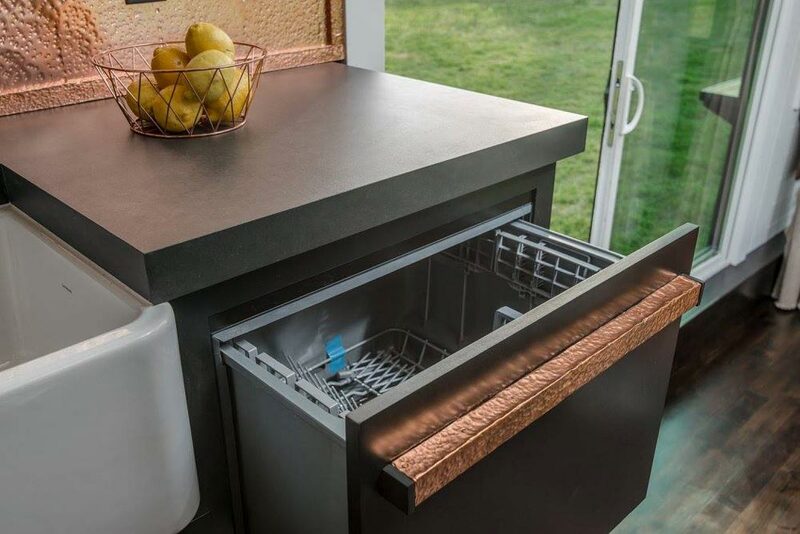 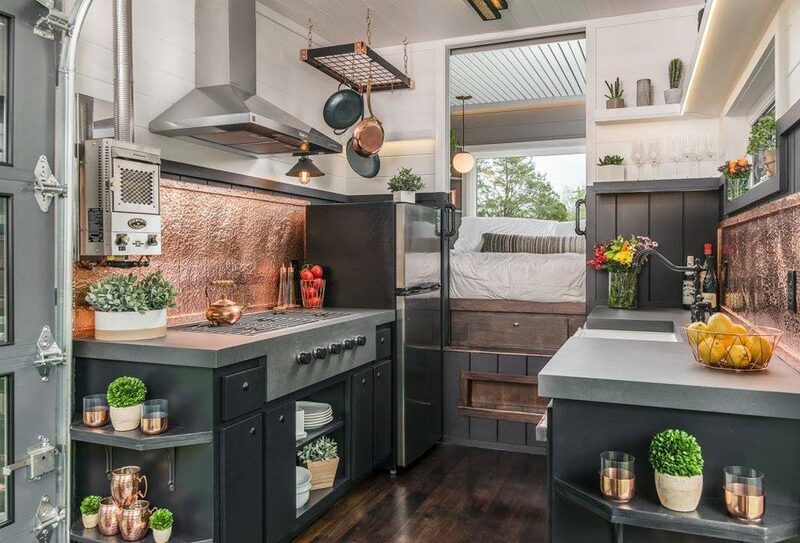 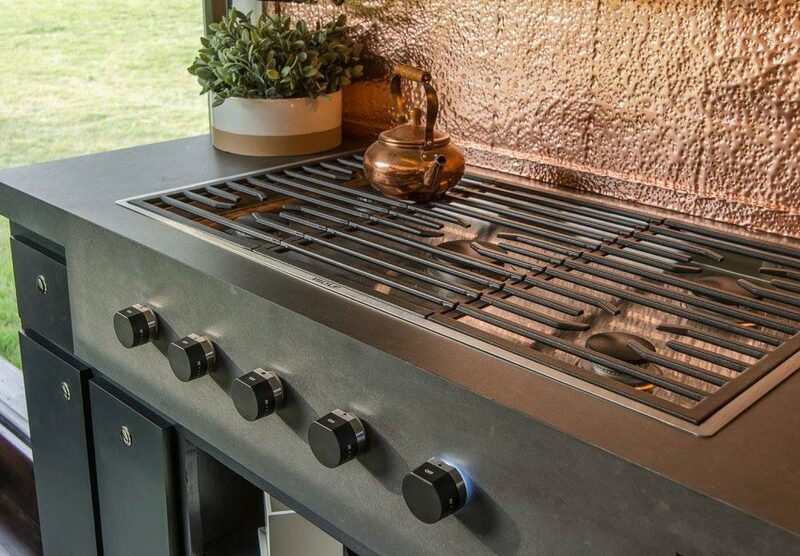 One owner is a chef, so they spared no expense in the gourmet kitchen, which includes a 36″ Wolf cooktop, apron sink, copper backsplashes, and a hidden dishwasher. 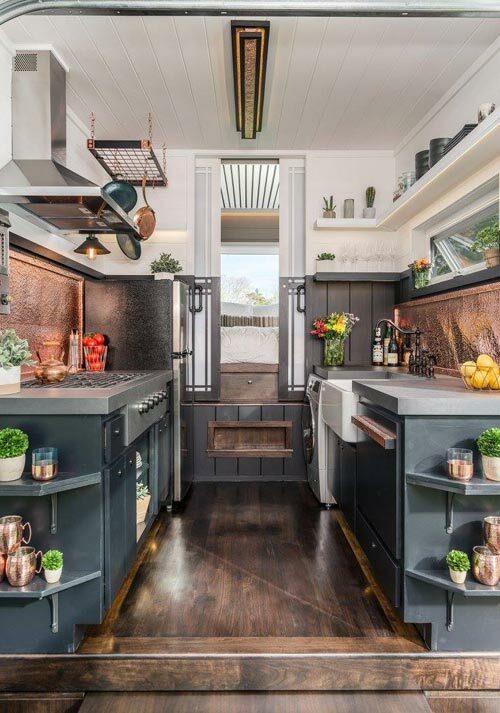 The kitchen sits on top of a raised platform and a nested dining set pulls out from under the platform to accommodate up to 12 people. 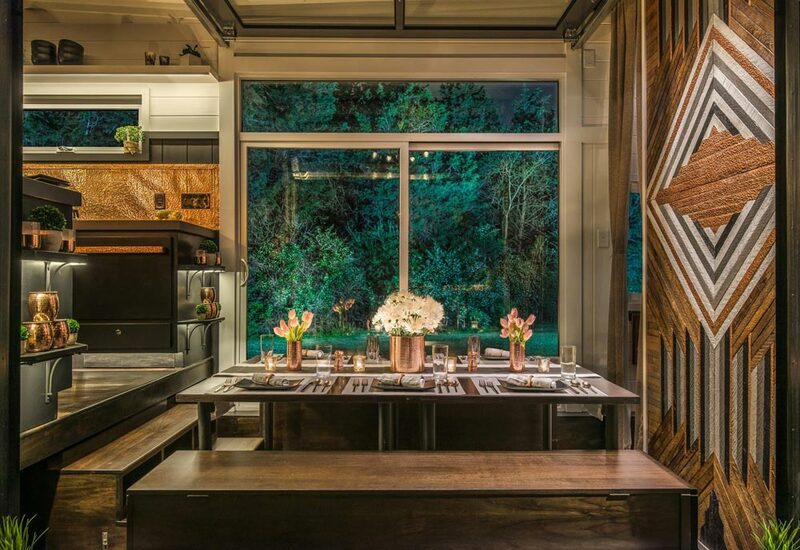 The owners love to entertain! 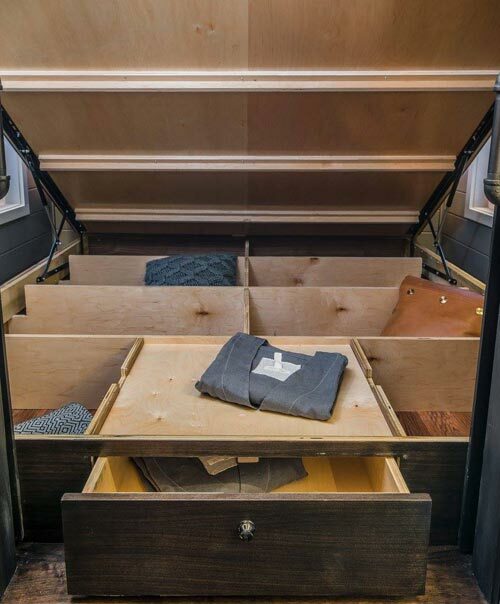 The king-size master bed was built on a platform and can be easily raised with its hydraulic shocks, revealing tons of storage space. 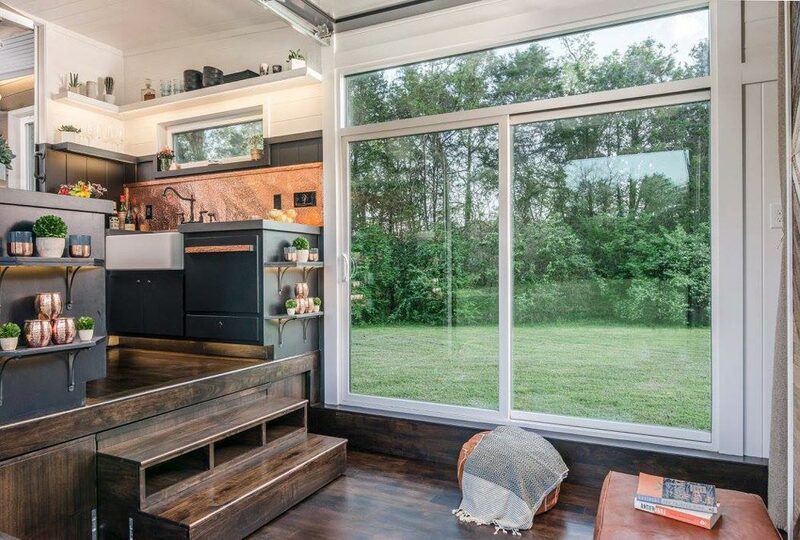 A convertible office space includes a drop down desk in front of a large window. 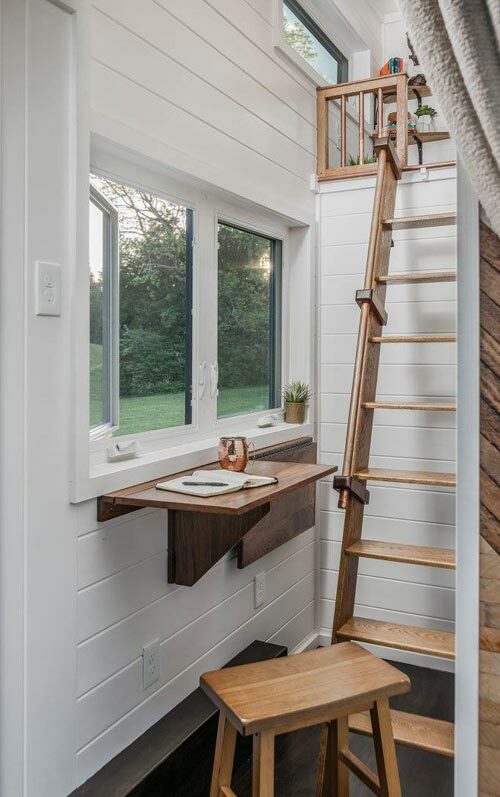 A ladder leads up to an L-shaped bedroom loft for the couple’s child. 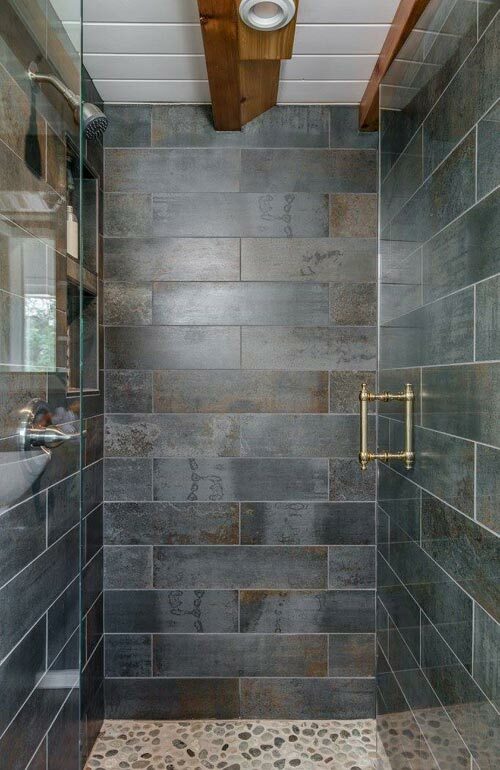 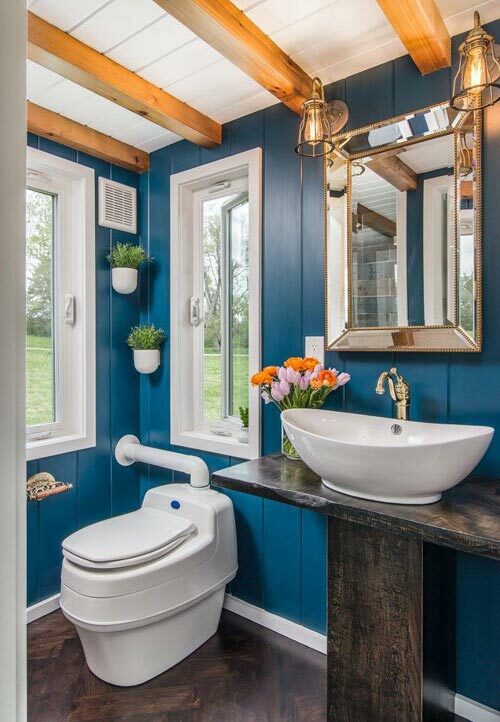 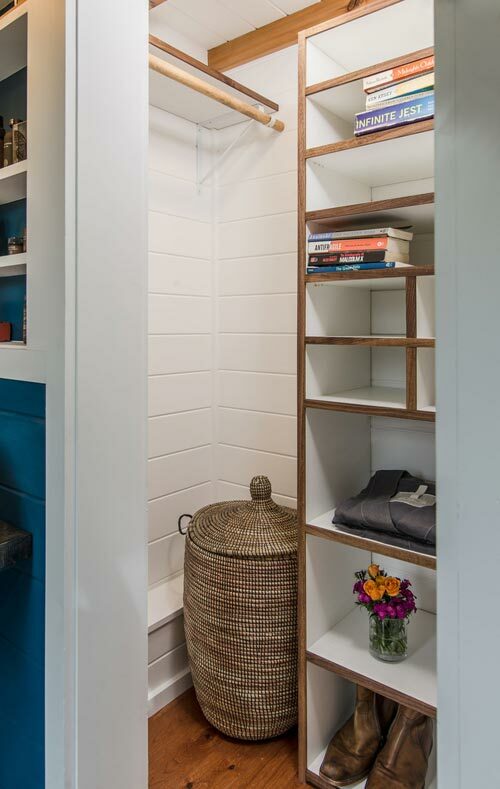 Finally, the bathroom was painted with a brilliant blue and includes a custom pedestal sink, composting toilet, closet with shelving, and tile shower. 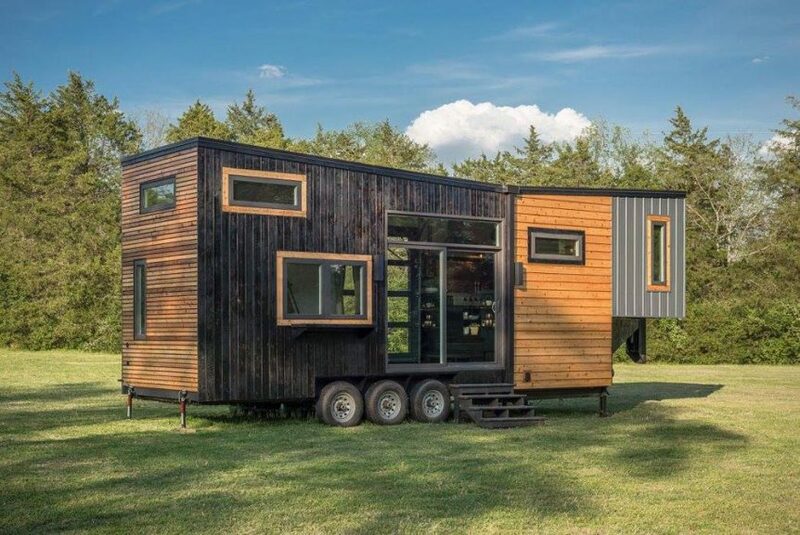 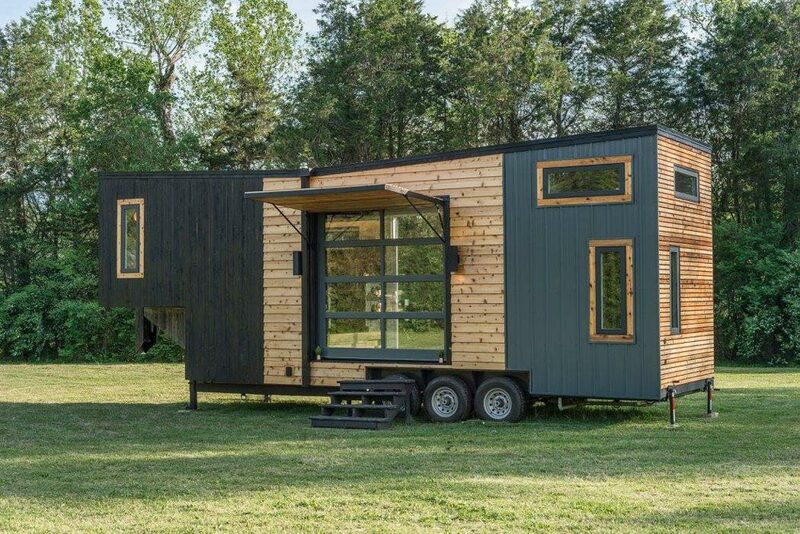 The Escher was featured on Season 6, Episode 3 of Tiny House, Big Living. 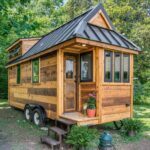 You can view more pictures of the house on the New Frontier Tiny Homes website.